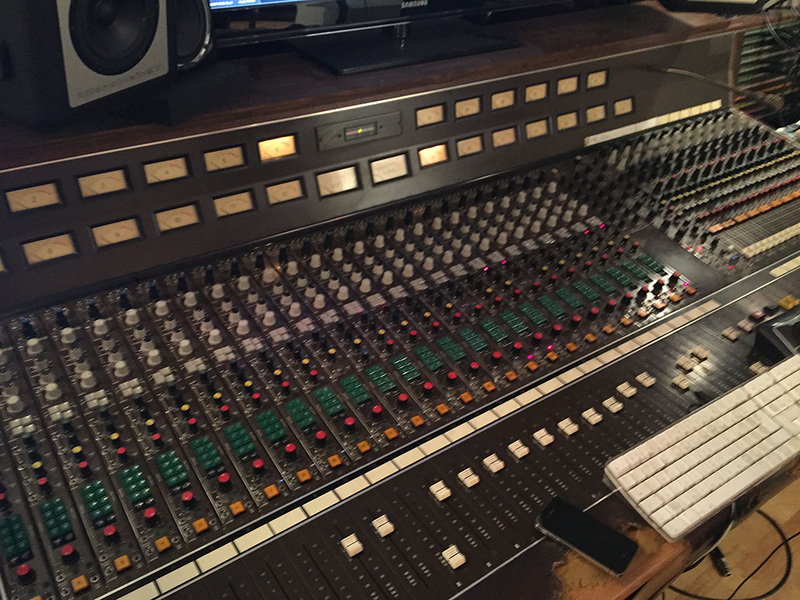 So the next stage of the album is complete… mixing! We’re mixing with Iain Hutchison at Glo-Worm Studios. I’ve known Iain for 14 years now. We both studied Applied Music together and he was in my group of friends at halls…long live the days of Douglas House (don’t worry Iain, I won’t be posting pictures on this)! Since our uni days though he’s gone on to be one of the top recording engineers for the Folk scene in Scotland. He recorded my first ever album and has mixed every one since… and since that first one he’s been used by the Transatlantic Sessions, Capercaillie, Kate Rusby and many, many more. I feel so comfortable working with Iain so I was very relieved when he was available to mix the new album… I don’t know who I would have used if he wasn’t available! We spent 3 days mixing and we finished early on the last day (good for the budget!) as things went very smoothly. The new album is purely the 3 of us in the trio… no guests, so with there being no more than harp, double bass, guitar and vocals on the tracks this made things very easy for Iain. A very basic description of mixing is that it means balancing the levels between the instruments/voices. At times Iain used automation to change the levels throughout the track, and at some points added in some nice wee effects to lift things a bit. The next stage is mastering. This is when you balance the levels between each of the tracks as a whole… so that one track isn’t louder than the other. Essentially making sure there is a consistent sound throughout the whole album, meaning it’s ready for radio play and manufacture. That’s taking place on Friday evening… then that means all the studio process’s will be finished! Oh and on another subject, I’m having a wee sale of all my previous albums on my website. Half price for £6/7 depending on where you live in the world. Spread the word and order them by clicking on the Shop in the menu above.